Trials for the club cross country relay teams for the upcoming County Cross Country Relays will take place at training this Tuesday night at 7.30pm. 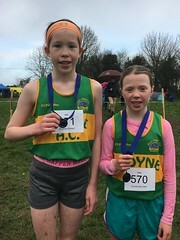 Girls and Boys U/10, U/12, U/14 and U/16 4 x 500. All athletes interested in being on a team should ensure that they are at these trials.